CandyRific Halloween Light Up Fan (Pack of 12). Halloween is just around the corner, and there's only one thing better than getting delicious candy on Halloween.. That's getting candy and a toy at the same time! Introducing the CandyRific Halloween Light up candy fan! A great novelty candy and toy all in one! 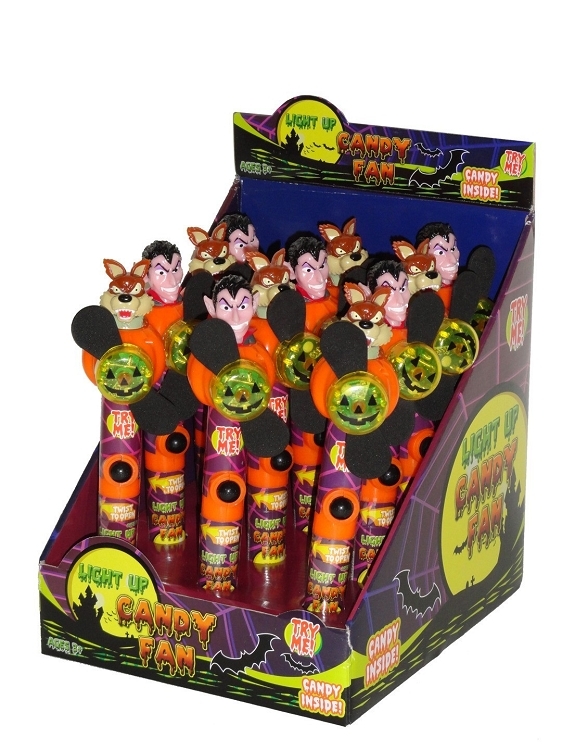 Each order has twelve Halloween themed light up candy filled toys. When the candy is gone, you still have a great fan and light to play with! 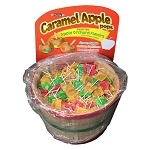 Great for Halloween trick or treaters, goodie bags and of course for your Halloween themed candy table. Assortment includes Werewolf and Vampire toppers.